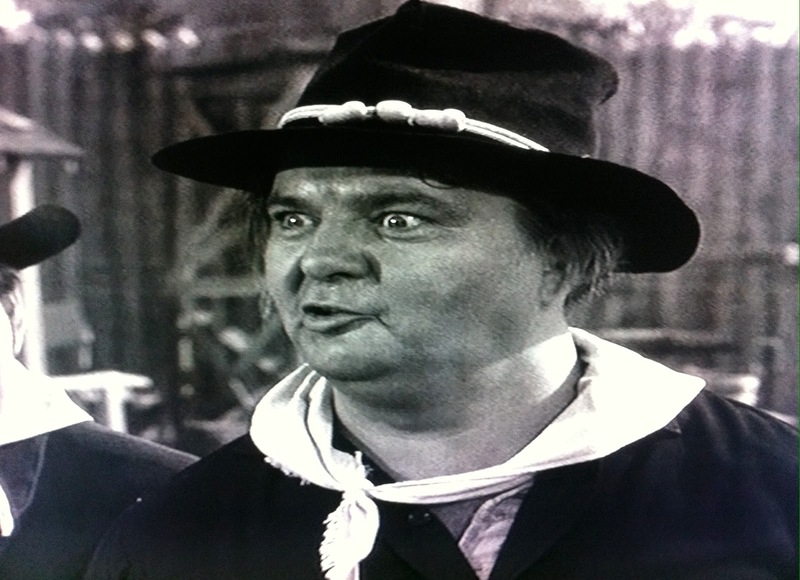 F TROOP: "Our Hero, What's His Name?" 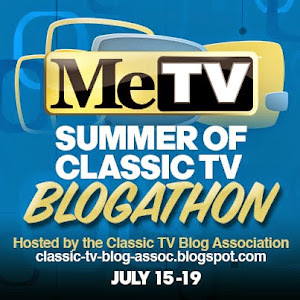 (Season One, Episode 17; Original Air Date 1/4/66) Starring Forrest Tucker, Larry Storch, Ken Berry, Melody Patterson, Frank de Kova, James Hampton, Bob Steele, Joe Brooks, John Mitchum. 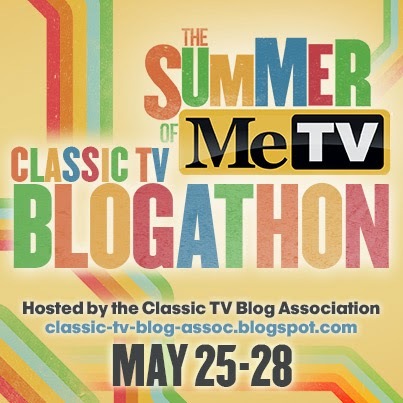 Guest Stars: Mike Mazurki, William Woodson, Jackie Joseph, Jamie Farr, Robert Sorrells, Robert P. Lieb. 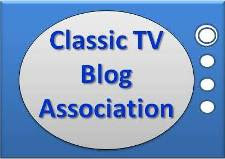 Written by Howard Merrill and Stan Dreben. 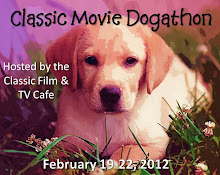 Directed by Charles R. Rondeau. 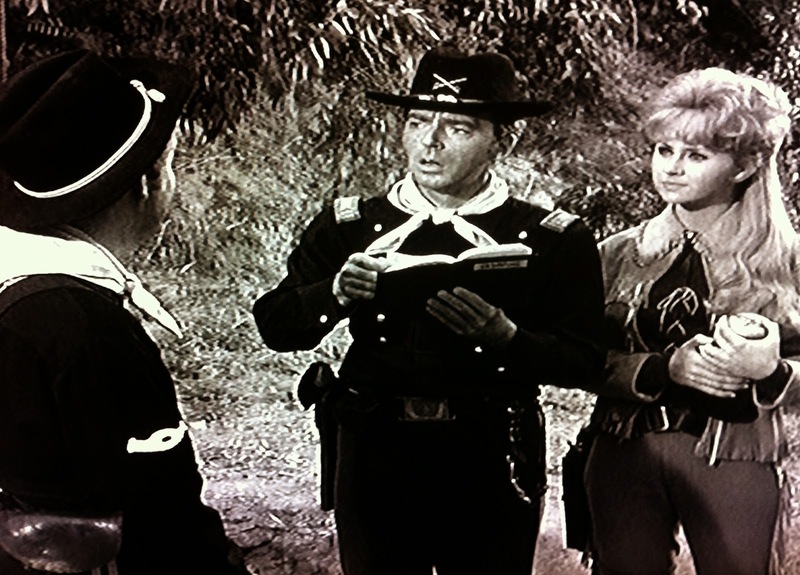 Another lazy, sleepy day at Fort Courage is interrupted by Wrangler Jane (Patterson) riding through yelling "mail call", with Dobbs (Hampton) being the recipient of a trooper stampede before he can even finish the official notifcation via bugle. Hey, it's Fort Courage, and we all know they're anxious for contact with the outside world. No one more anxious than Agarn (Storch), who hasn't had a letter "in three weeks" from his oft-referenced girlfriend Betty Lou. After one false alarm (a dental bill), the Corporal smells the familiar perfume on the next envelope addressed to him, and ever-helpful Sgt. O'Rourke (Tucker) has sage advice: "Let's not read it here!" Cheer up, Captain! Melody is underage, but Wrangler Jane isn't! He's been "tearing up fences and gardens all over town", so the Captain has a chance to play Mr. Fix-It and impress his lady by concocting a bear trap. The first attempt involves a simple rope and a tree branch, and requires just "the slightest bit of pressure" and..
Well, right now it's Bear 1, Wilton 0. Back at the NCO barracks, Betty Lou's belated correspondence is a bust--a "Dear John" letter. "I gave her the best years of my life! Engaged seven years!!" 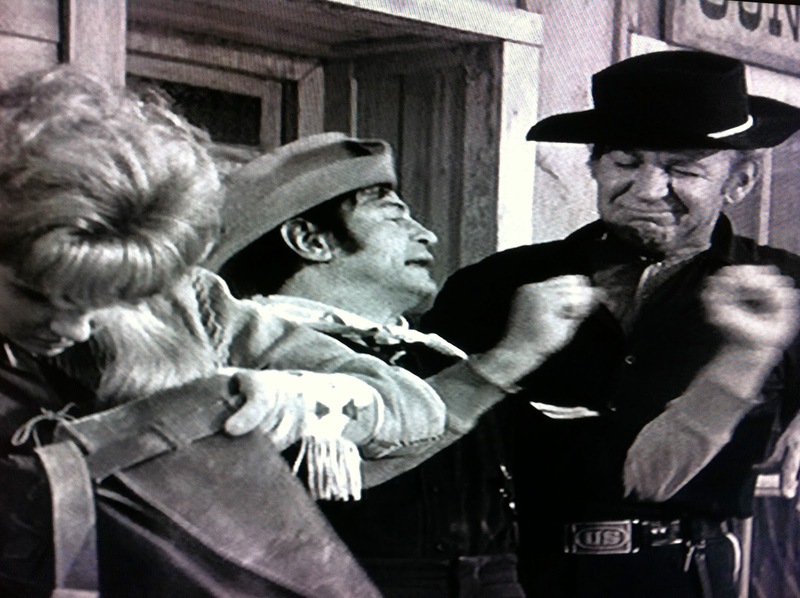 Agarn deduces that he's been bested by Clarence, the horse car conductor. "She never could resist a man in uniform!" Addressed as Mr. Agarn in the salutation instead of the usual Poopsie or Cuddles, our Corporal is coming apart at the seams. "I was her hero, Sarge! How could she do this to me?" 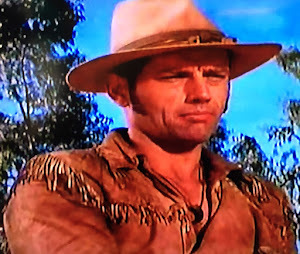 Leave it to Morgan O'Rourke to come up with an idea to save the day, albeit one that is going to raise a few eyebrows: "You're gonna kill Geronimo". "I'm not hearing what I'm hearing!" No, not literally. 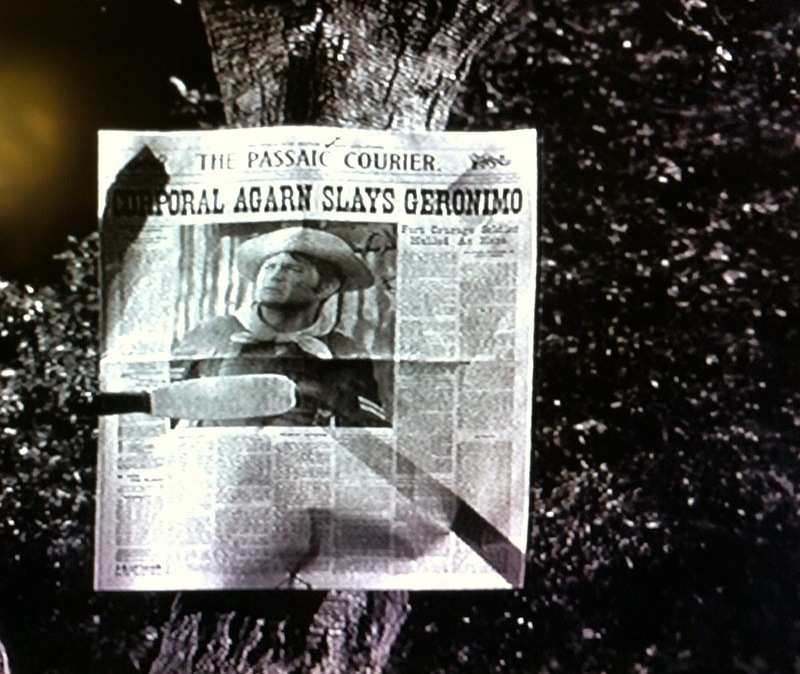 O'Rourke relates a story about Geronimo's battlefield exploits from the paper he's reading. The reckless, fiery Apache leader attacked "an entire train of troops" and "ruthlessly shot down half a dozen men" then "rode triumphantly off". The Sarge feels that with some slight rewording, this tale could become a pretty compelling reminder of his heroism to his pal's sweetheart back home. 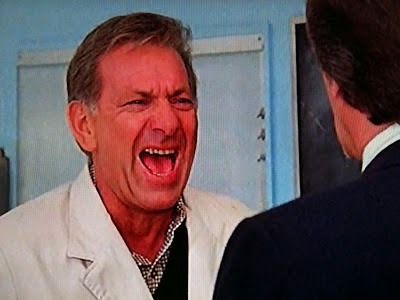 "You're gonna write Betty Lou a letter." One in which Agarn can detail the courage of "the reckless, fiery me", who "fearlessly slew Geronimo" before of course, he rode off. Triumphantly! 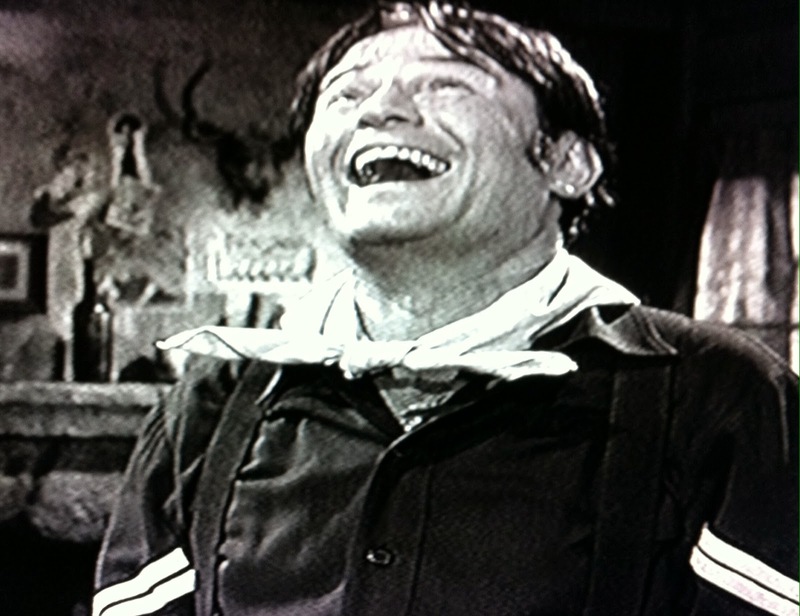 Now I have to say, Morgan Sylvester O'Rourke is a businessman without peer in his neck of the woods (with the possible exception of Chief Wild Eagle). But as a matchmaker, he's got a pretty miserable track record. Over the course of two seasons, we saw him fail horribly at the mail order bride business twice--once in each season. 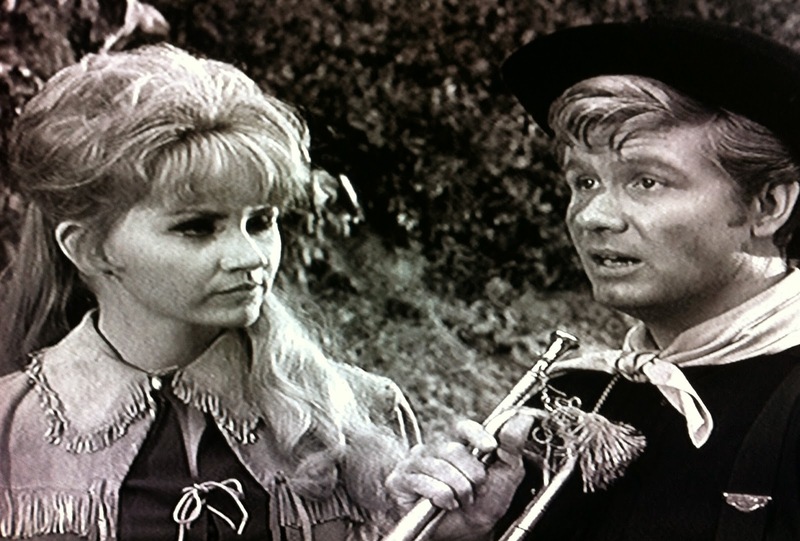 He also came up short playing Cupid for Parmenter and Wrangler Jane on the same number of attempts. So given O'Rourke's batting average of .000 in this field, I don't like Agarn's chances . 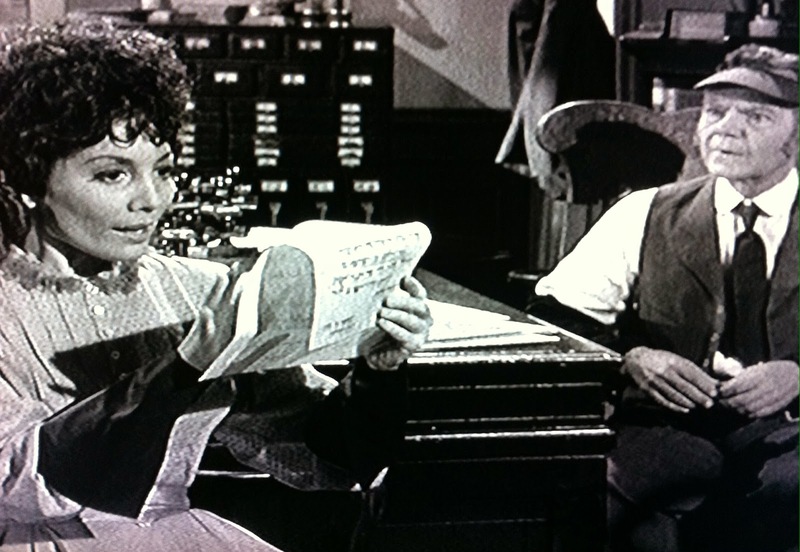 But initially, it looks like the Sarge may break out of his slump, as we see Betty Lou reading Agarn's letter. 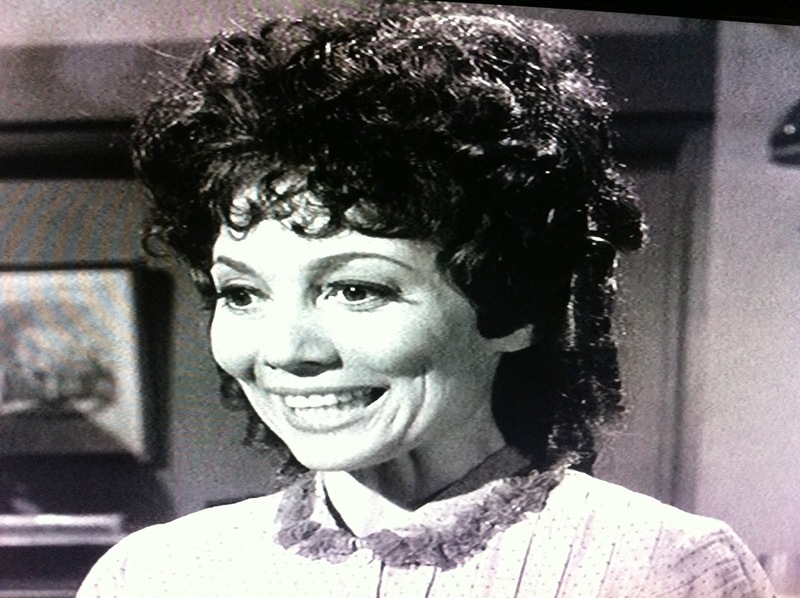 Betty Lou is played by the lovely Jackie Joseph, who at the time was Mrs. Ken Berry. 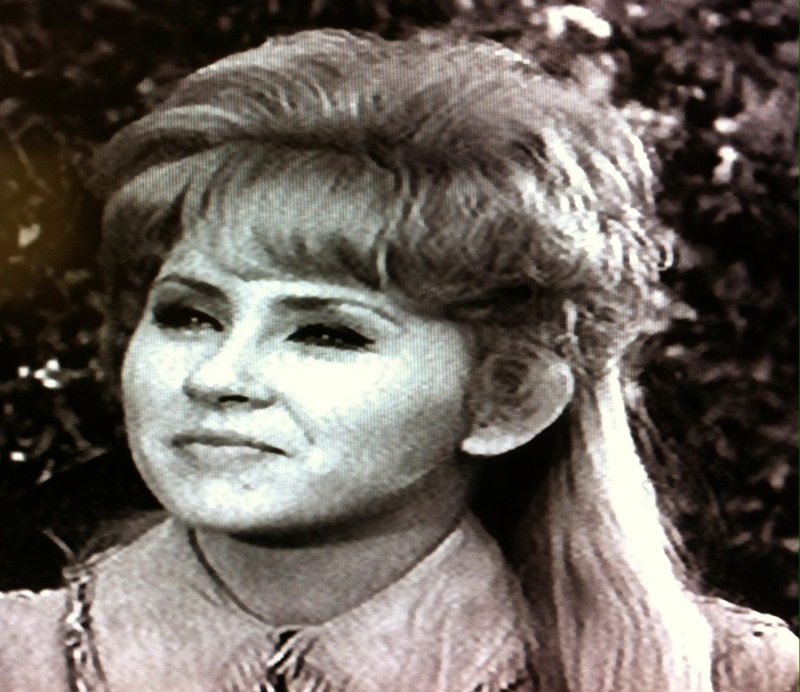 Ms. Joseph turns 80 this November, and recently participated in the featurette for the MY LIVING DOLL DVD release. ...it is noticed in Washington, D.C. by none other than the Secretary of War. Actor William Woodson turns 97 on July 16, and was one of the busiest voice actors in the business for decades. 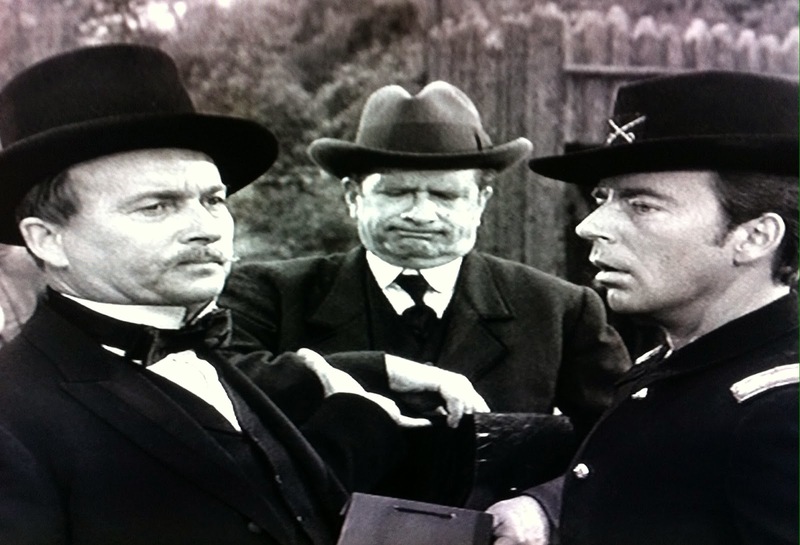 This was the first of his three F TROOP appearances as the Secretary of War, with Robert P. Lieb also appearing in each installment as his Attache. Woodson's first reaction to the headline, in that unmistakable voice: "Why is it that I'm Secretary of War, but no one ever tells me these things??" He's still sufficiently impressed, and makes plans to present Agarn with a Presidential Citation and a Medal in person. Nagging thought # 1: One might think a promotion would be in order, too. After all, if Parmenter was commisioned in the field for sneezing, Corporal Agarn's takedown of a wanted man (remember, he gunned down half a dozen soldiers) ought to make him a Lieutenant at least, right? If so, it would certainly be a sticking point for O'Rourke Enterprises. All things considered, O'Rourke and Agarn should have given more thought to the reaction to this action. Not just the reaction from the brass, either. The Secretary declares that this headline will "make those Indians sit up and take notice" and his prediction comes true, starting with the headline's subject. 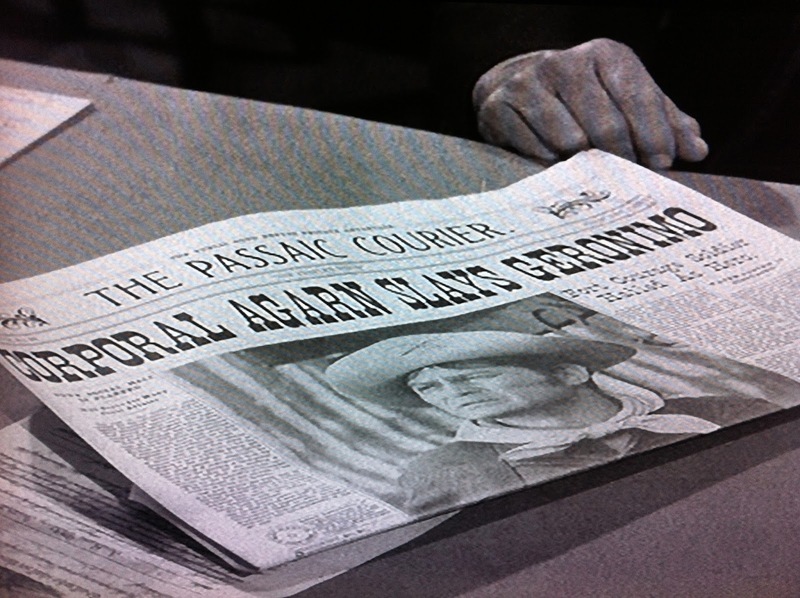 Who knew the Passaic Courier had such a wide ranging circulation? 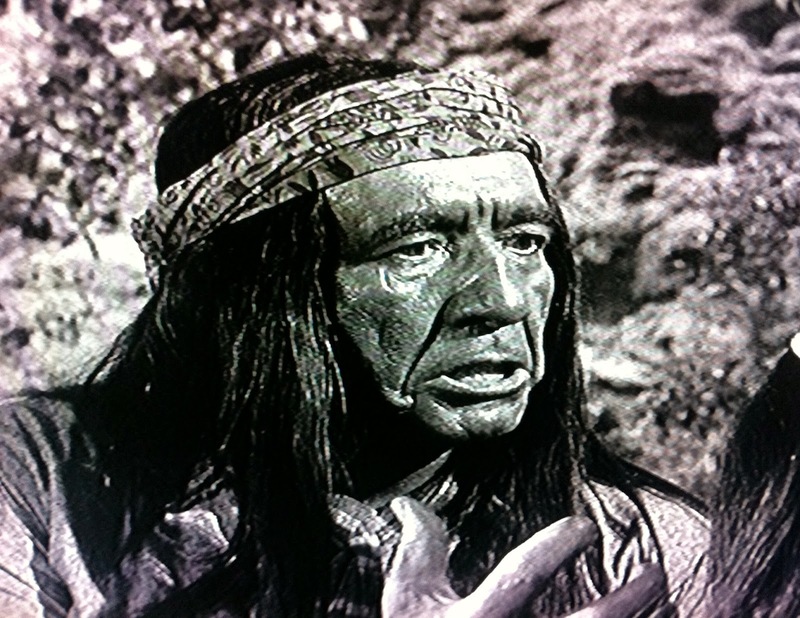 The legendary Apache chief (Mazurki) is none too happy to learn that not only is he dead, but that he was supposedly slain by a lowly Corporal. 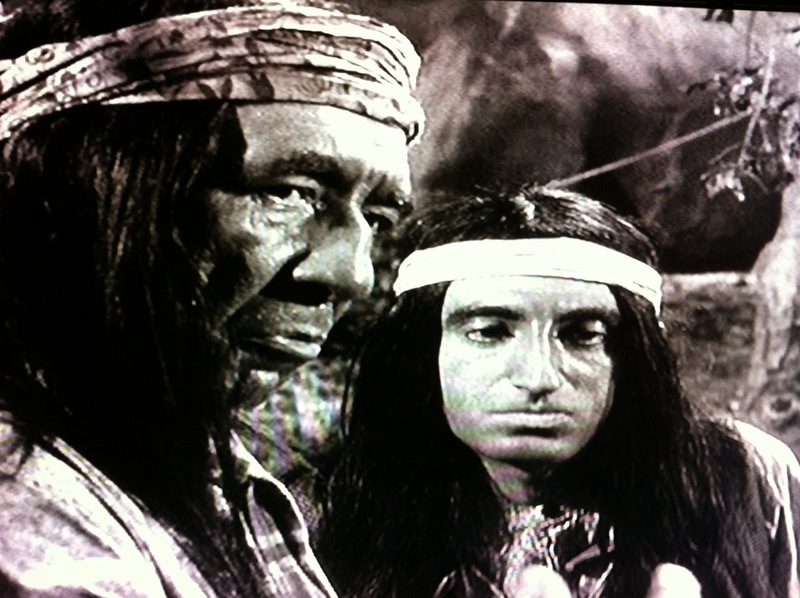 (And yes, that is a young Jamie Farr with him.) At 6'5" and 251 lbs., former professional wrestler Mazurki cut quite a physically imposing figure. The real Geronimo stood 5'9" and weighed around 190. Meanwhile, moving from a Corporal trying to impress his lady to a Captain trying to impress his, Parmenter has enlisted two usual resources for help trapping that bear: Bugler Dobbs (Hampton) and his ever-trusty army manual. Janie has brought along some honey from her general store, which the F Troopers predictably get all over themselves while sweetening the new trap with it. It all ends up with a bit of damage to the Captain's uniform. Digging a camouflaged pit was the next logical move once the problems of using the rope were revealed, and Dobbs suggests "the big love call" for bears is the proper way to lure this one. We're all in for a shock, as we're about to see Dobbs play something very effectively on that bugle. He starts playing the call, and the bear is quickly heard! But not seen, as the trap claims its first three victims--all human. Bear 2, Wilton and Friends 0. 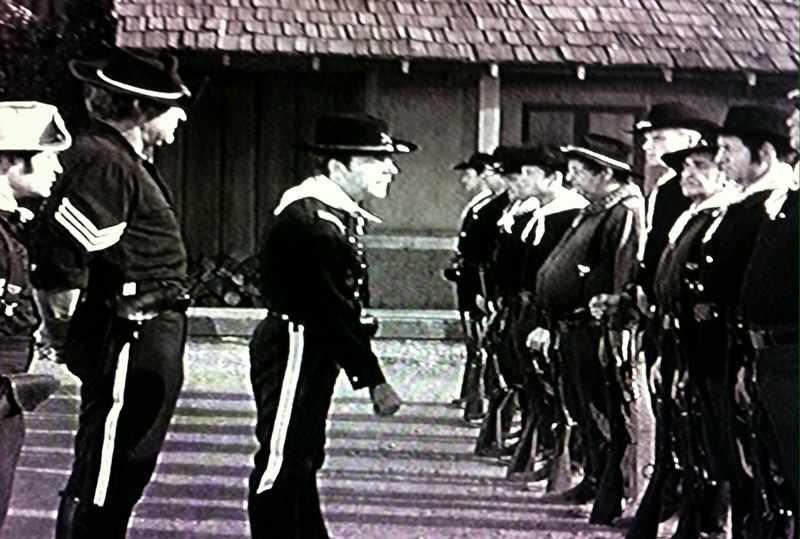 Back inside the fort, a scout from Fort Bravo informs the CO that the Secretary of War is on his way to give someone a medal! 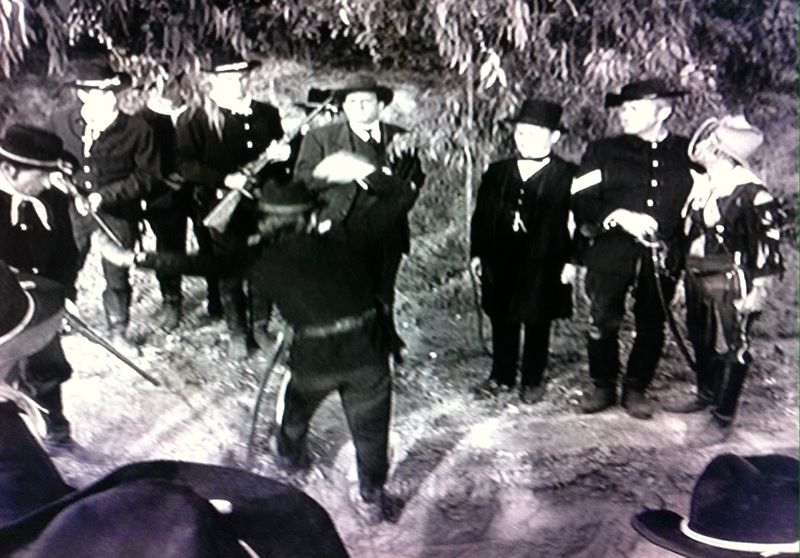 With no reason to believe anyone is due a reward for bravery, Parmenter instructs Dobbs to muster the men. 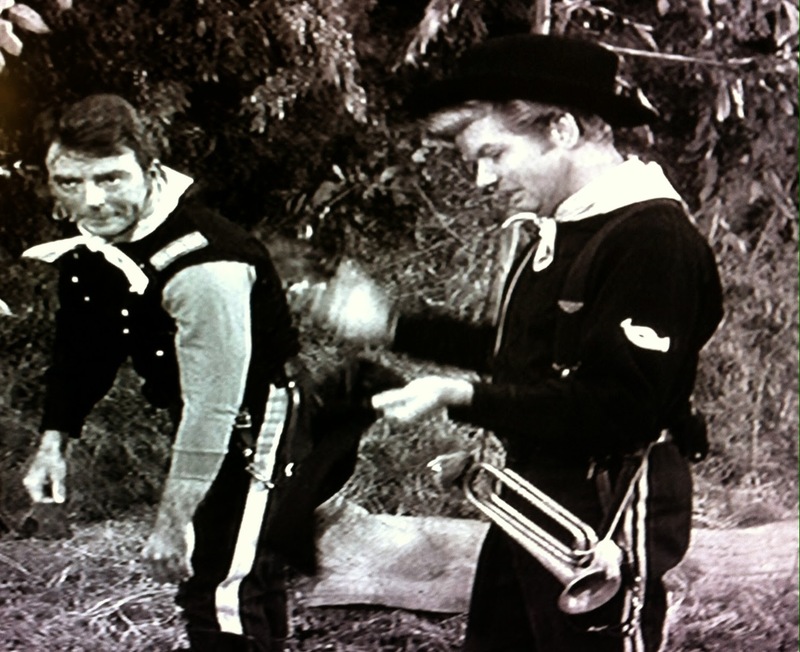 While the Bugler has a heretofore unknown talent for mating calls, his ineptitude at cavalry signals remains intact. 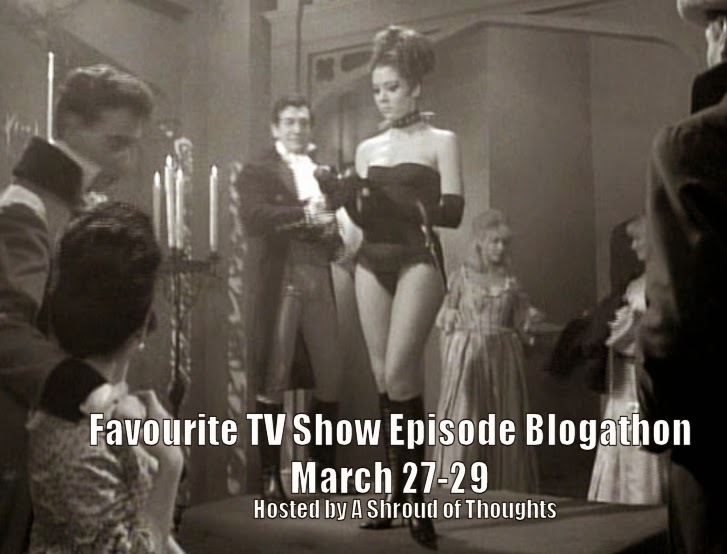 In an episode full of rarities, here comes another one: kindly Captain Parmenter is angry. "This is your last chance. Will the guilty brave man please take one step forward!" No one does, so Wilton begins quizzing them one at a time. Starting with Duffy, who for once gets more than a couple of sentences into his Alamo story uninterrupted. 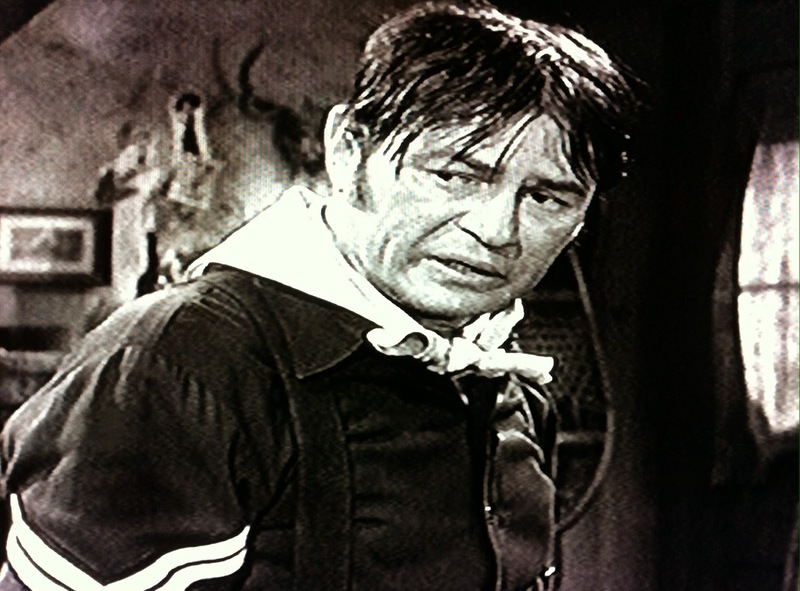 "There we were, me and Davy Crockett, shoulder to shoulder and backs to the wall!" We get a lot of details this time: Duffy will not be denied! 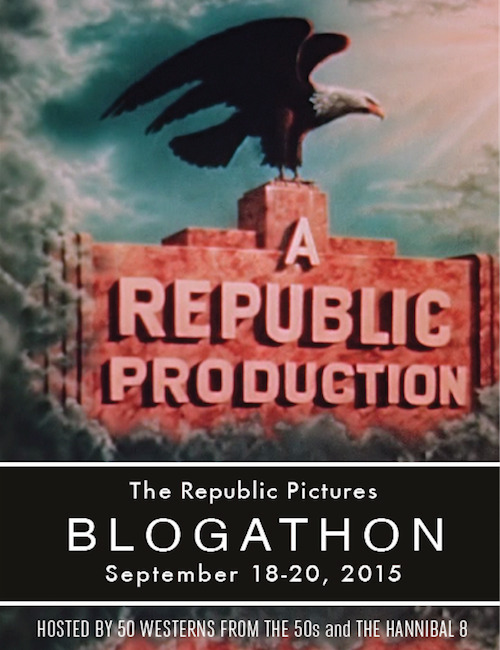 "Santa Anna was leadin' the charge--there were thousands of 'em!" 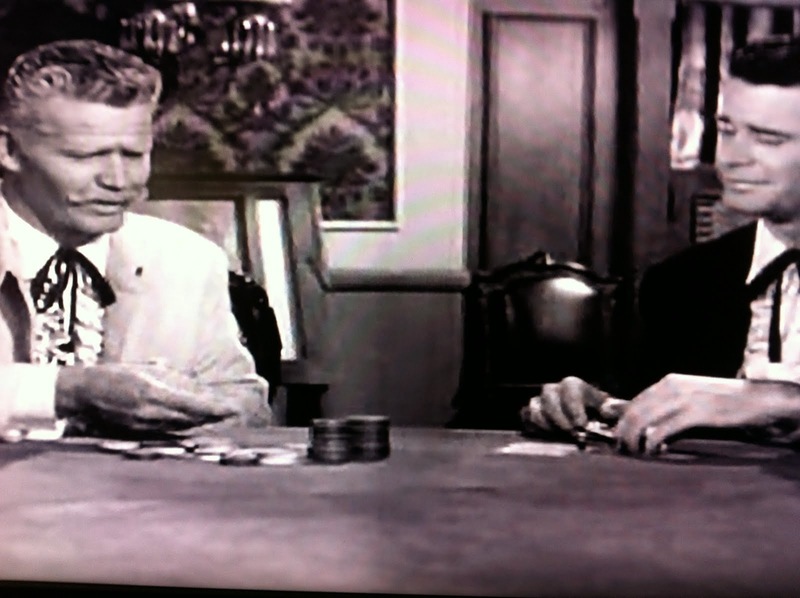 He even gets to tell us what a "Duffy Knife" is, and Hoffenmueller excitedly joins in without a word of English. Finally, the inevitable happens and Agarn whips the hat out. If there's one thing Parmenter can't stand, it is "a lying hero". One of the men is a brave soldier. "And until I find out who that one exception is, you're all confined to the post! Dismissed!" Wow! The angriest we've ever seen Wilton, with the exception of the time that two weeks with Custer turned him into "Old Ironpants". Agarn looks a little worried, with good reason to be. 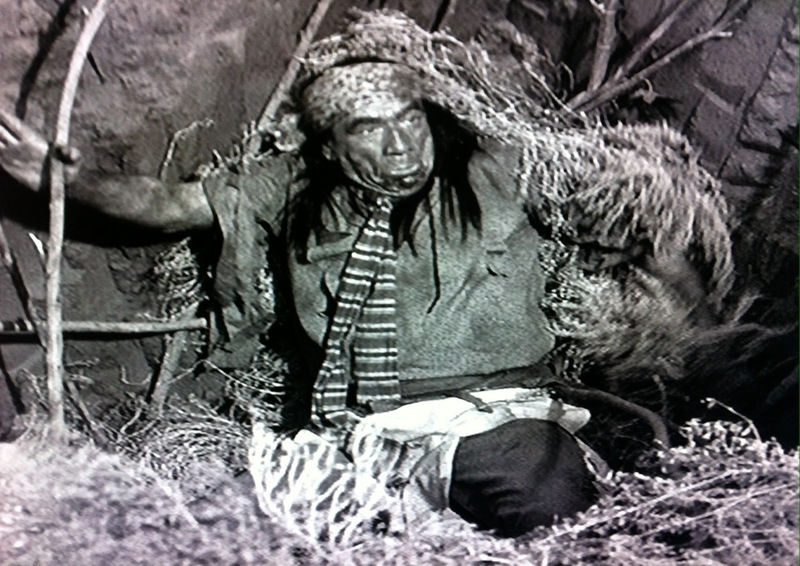 Geronimo has arrived at the Hekawi camp. Still has that paper with him, too for target practice. Pretty accurate warmup throw, eh? Chief Wild Eagle (deKova), always able to see the big picture, tries to calm his cousin. After all, he doesn't want to lose his best customer. 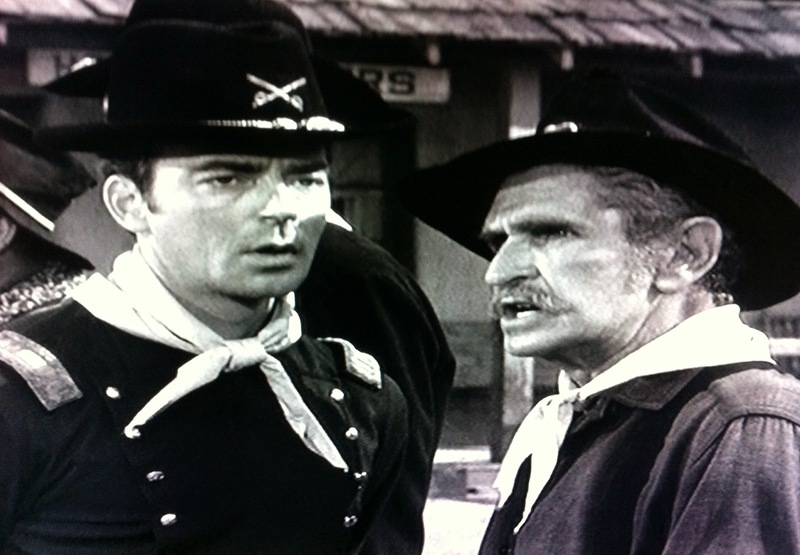 "We trade with Agarn and F Troop!" 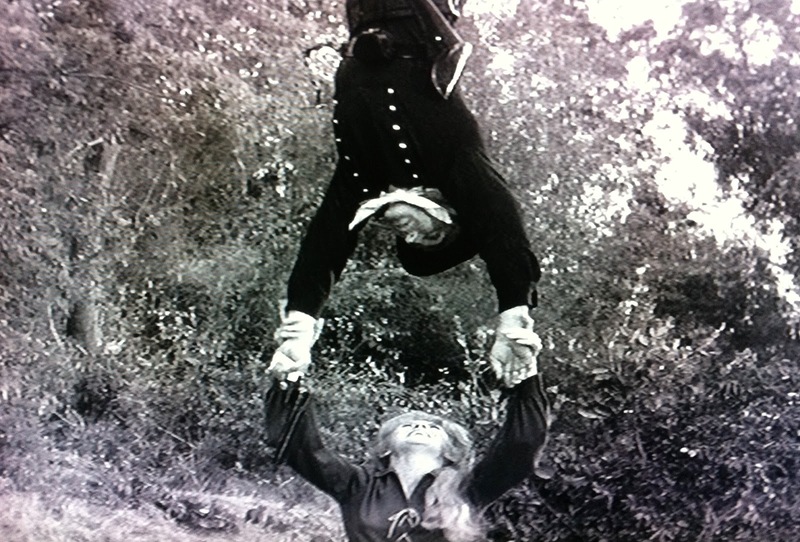 He is no more successful than Geronimo's underling was: this warrior simply will not be deterred, not even by family. He might be 6'5", but this Geronimo seems more like late-career Napoleon: getting great advice and not listening. Firmly stating that the Corporal will make "a beautiful scalp", he's heads to the Fort to "put him out of business" and exits the frame with a war whoop. "My cousin, the Warrior. 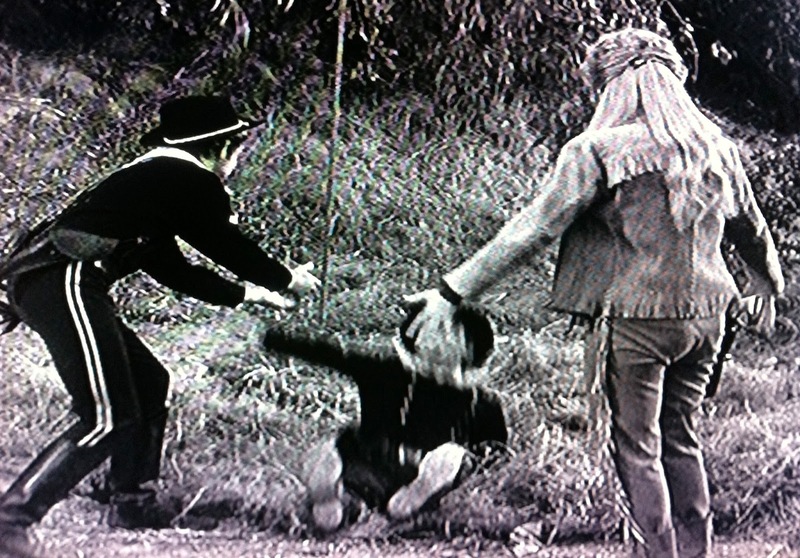 And his mother wanted him to become big Medicine Man!" As Act Two begins, word has spread about the visit from the Secretary of War. Big news in this remote outpost (though the thrill would be blunted by two subsequent visits over the next ten episodes. 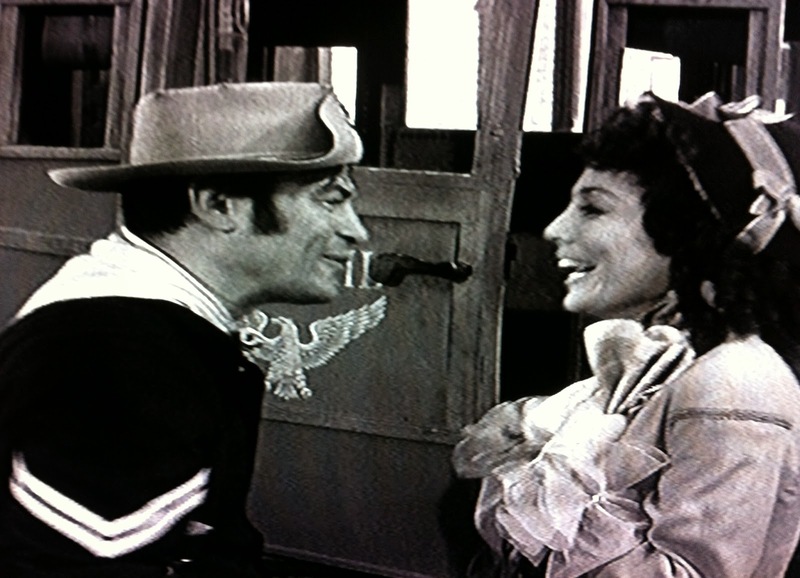 Wrangler Jane has no doubt who the medal is for, and thinks that the Captain is just too modest when he says "I hardly think it's me, Jane". The distraction doesn't really help, since he's working on that bear trap. Bear 3, Captain 0? I dunno if we can credit the big bad bear here, since he isn't even heard this time. Back in town, O'Rourke and Agarn are waiting on the stage, and the weekly supplies for O'Rourke Enterprises. When it arrives, Agarn has a pleasant surprise. 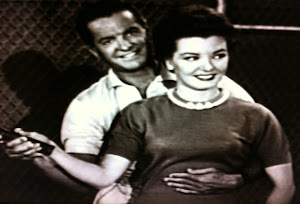 "It's Betty Lou!" And, she's calling him Poopsie again! He also has an unpleasant surprise. His buddy lightheaded and stammering, the always quick thinking O'Rourke feigns illness for him and gets him to the NCO Club. "What's the penalty? What's the crime?" O'Rourke determines that his friend is facing 99 years in the rockpile, or "if you're lucky, life." 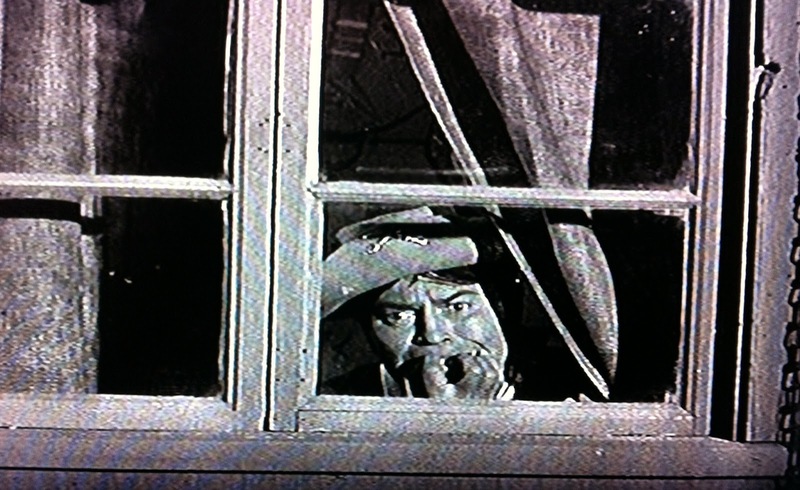 However, the Sarge does have a solution, which is why he's the President of O'Rourke Enterprises, right? "They can't do anything to you as long as you don't accept the medal! Just stay out of sight!" And so he does, from a safe distance. Our Corporal is about the only one who doesn't want to be near the ceremony, though. 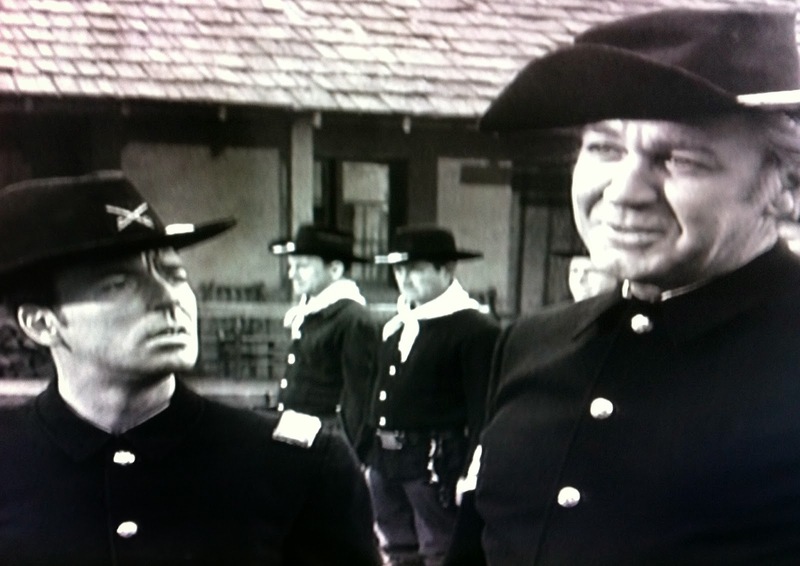 As the Secretary of War approaches, the dress uniforms are out, and many Fort Courage citizens are joining our two starstruck young ladies in the excitement. As Joe Biden would say, this is a big f--well, you get the idea. 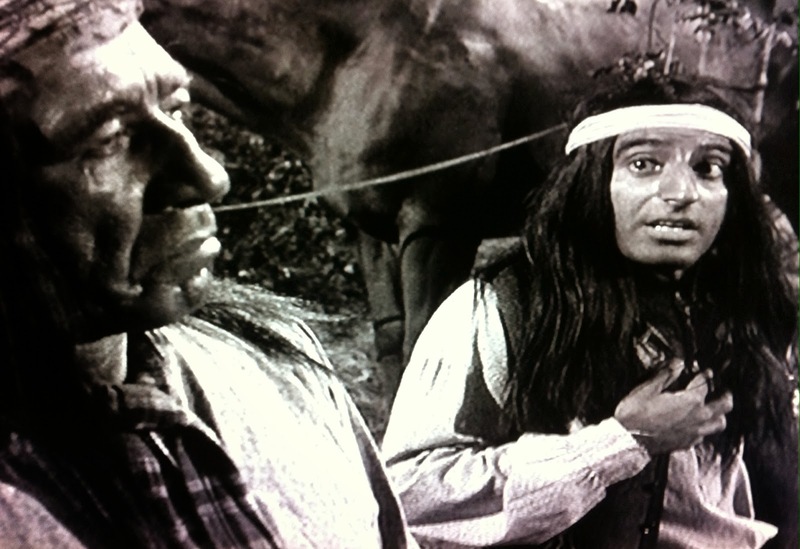 Hell, even the distinguished Native American leader Geronimo has shown up. Unfortunately for Agarn, Geronimo is with him inside the NCO Club, further validating that Nagging Thought that came up during THE 86 PROOF SPRING. Sgt. O'Rourke really needs to make some security modifications for the place. Hekawis and now Geronimo come and go as they please, locks or no locks, and well---just look at all that merchandise around him. Especially the whiskey! 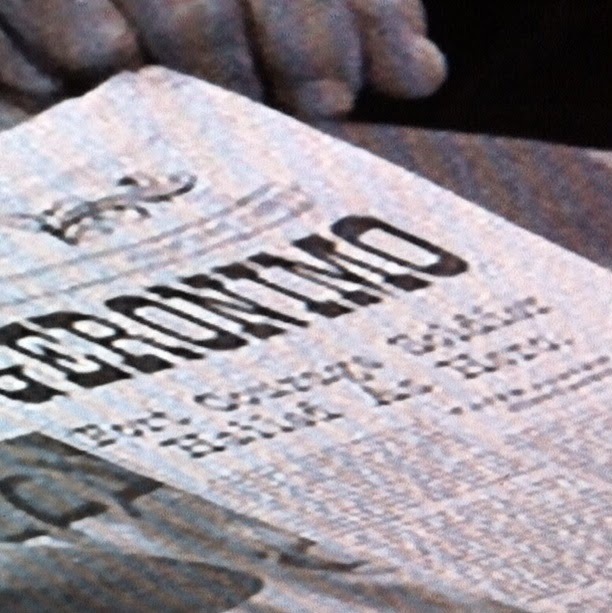 Good thing for Geronimo that he brought a full set of knives with him, because he is nowhere near as accurate with his many tosses at Agarn in person as he was throwing at that newspaper photo. He misses the crooked Corporal with every toss. Such bravery warrants a cannon salute, right? 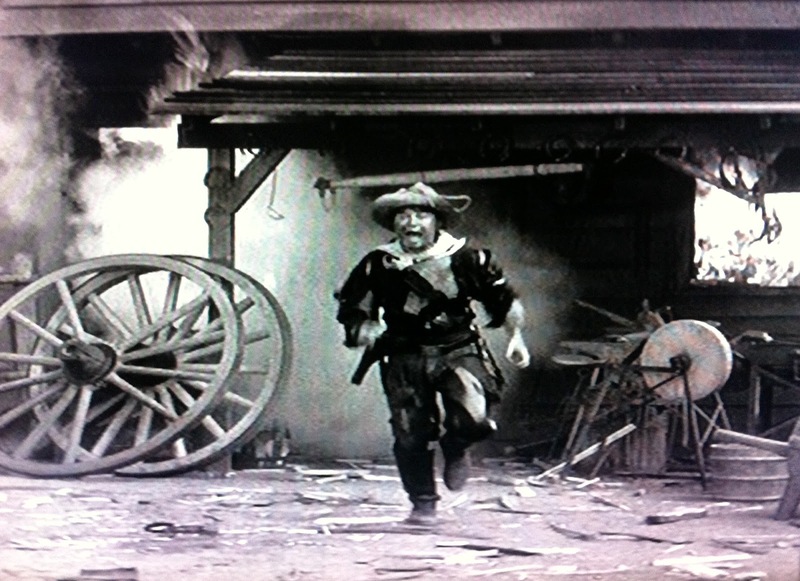 The fuse's near perfect record of fizzling out remains intact, so the cannon requires the usual help---just as Geronimo is preparing to throw his biggest, Crocodile Dundee-sized knife. Does it really matter, Dude? You couldn't hit a buffalo with a basketball! Well, we have good news for the lookout: Dobbs misses the tower. 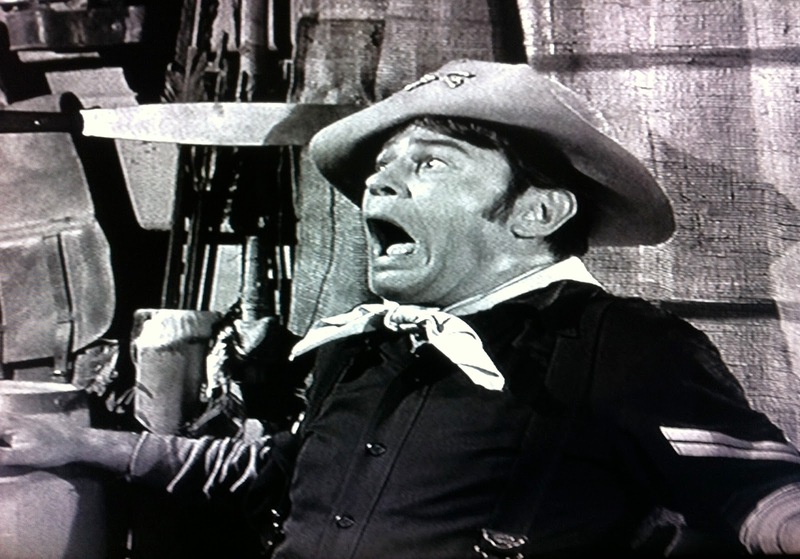 We also have bad news for O'Rourke: the cannonball blew up the NCO Club instead. Man, when you consider the insecure locks and the fact that this is the second most frequent target for cannon misfires (it's waaaay behind the lookout tower, but ahead of the water tower), O'Rourke really might want to find a new hiding place for the whiskey. 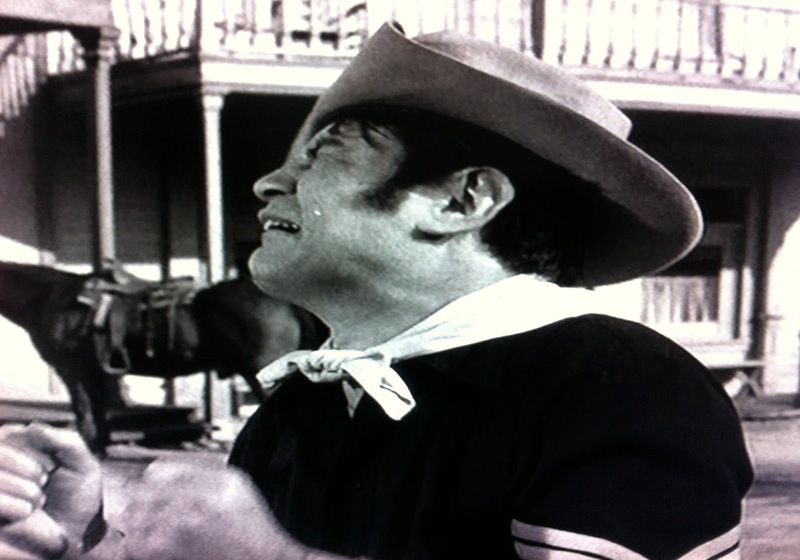 Too much inventory leakage, Sarge! 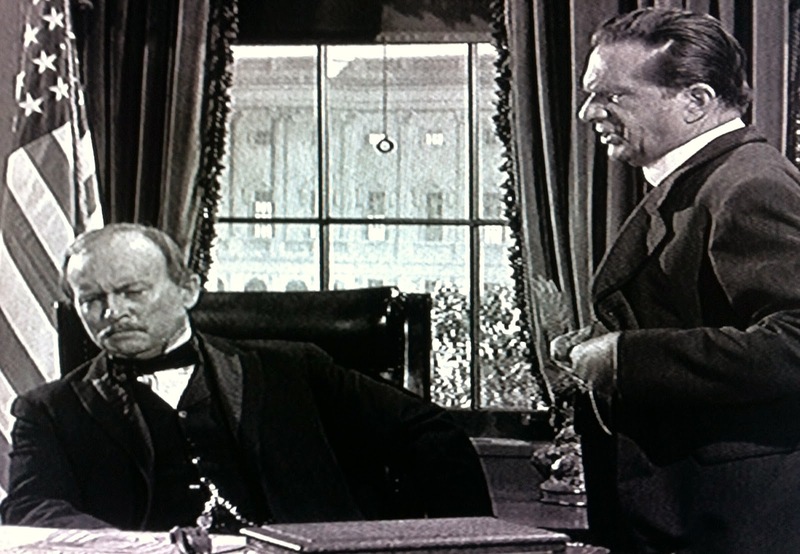 Causing the Secretary of War to hide behind his Attache! Nothing to worry about, Mr. Secretary. 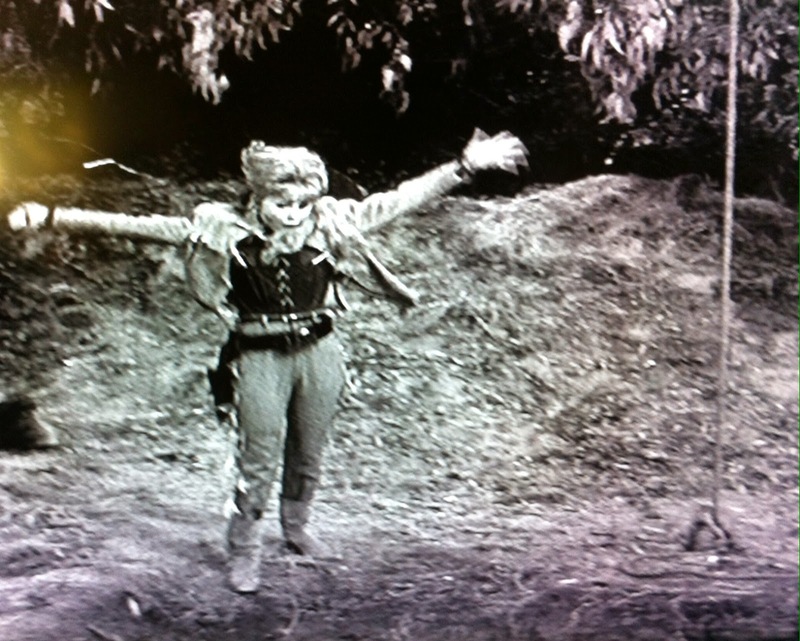 Geronimo realizes he's vastly outnumbered and completely out of knives, so he bolts out the gate. While the Captain calls for him to be taken alive, the bear trap claims yet another human victim. 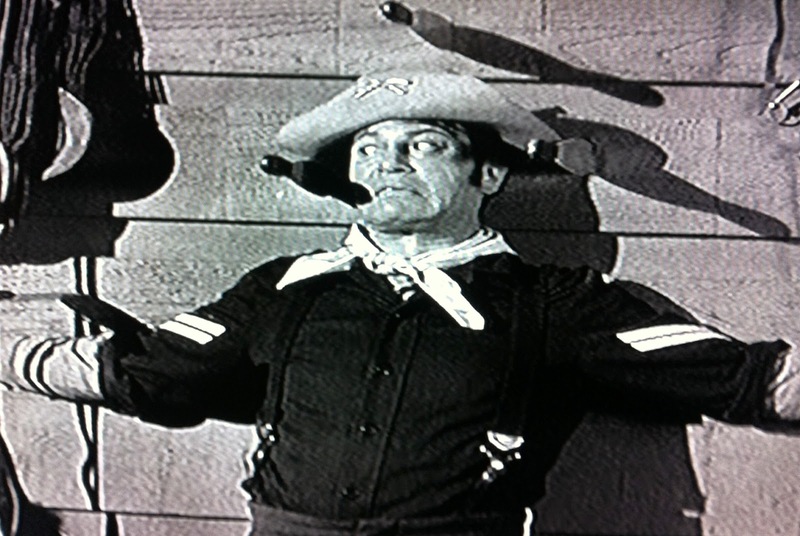 And Sergeant O'Rourke plays mop-up man. 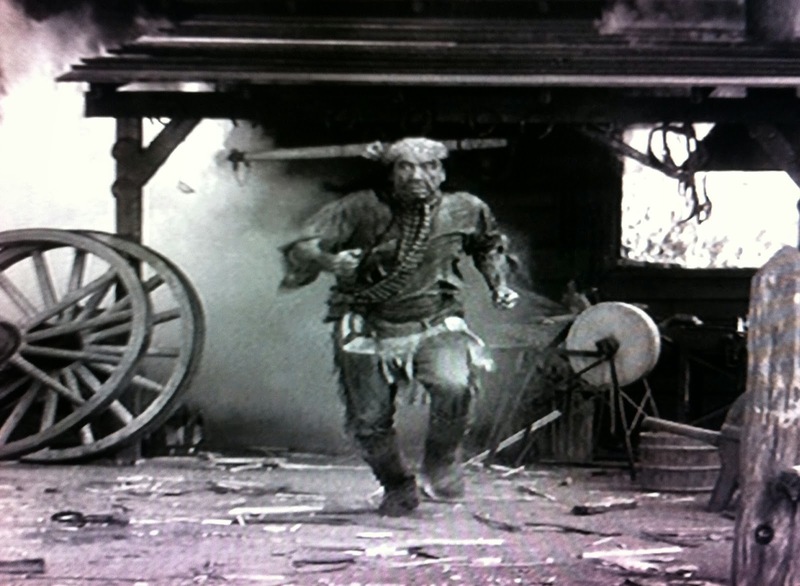 "A brilliant plan by Captain Parmenter to capture Geronimo, Mr. Secretary! 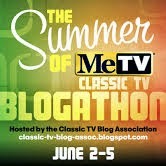 A stroke of genius!" 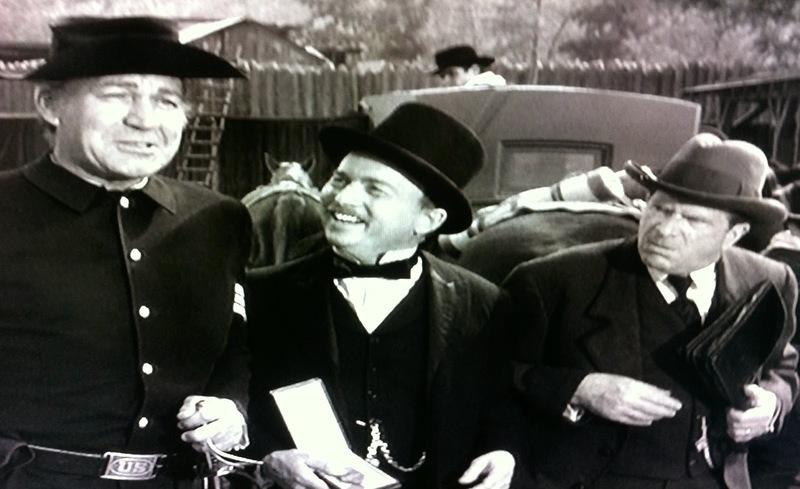 Yes, Sarge tells the visitors from D.C. that it was all a ruse to bring the Apache Most Wanted out of hiding. Gotta really admire the President of O'Rourke Enterprises here. He's able to block out the distraction of that exploded NCO Club (hopefully he was some whiskey left) and to quickly come up with a plausible wrap-up of the entire situation. Redemption for that questionable advice! 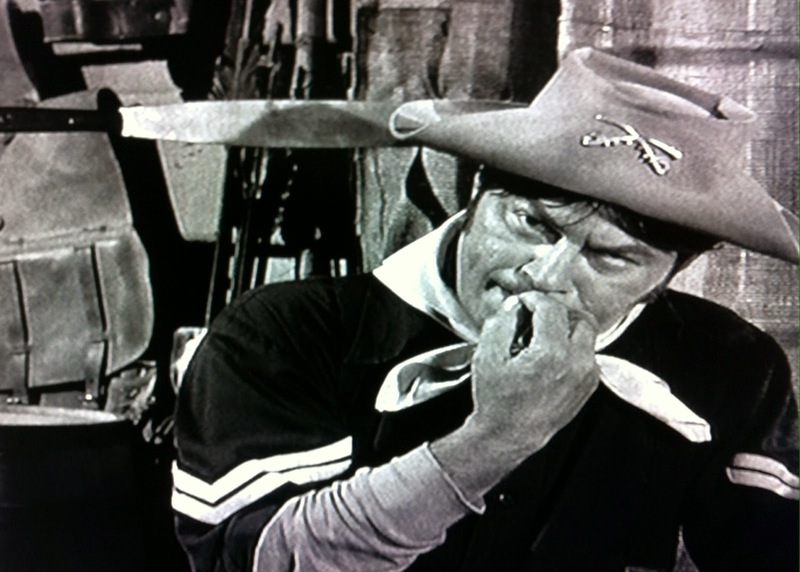 And so, as the gallant men of F Troop surround the bear trap, it is decided that Captain Wilton Parmenter will add another medal to that growing collection. His third, by my count (he received the Medal of Honor and a Purple Heart in SCOURGE OF THE WEST). And, while we're counting, a third fall into the bear trap. Hi, Geronimo! And, in our coda, bye Geronimo--into the guard house. 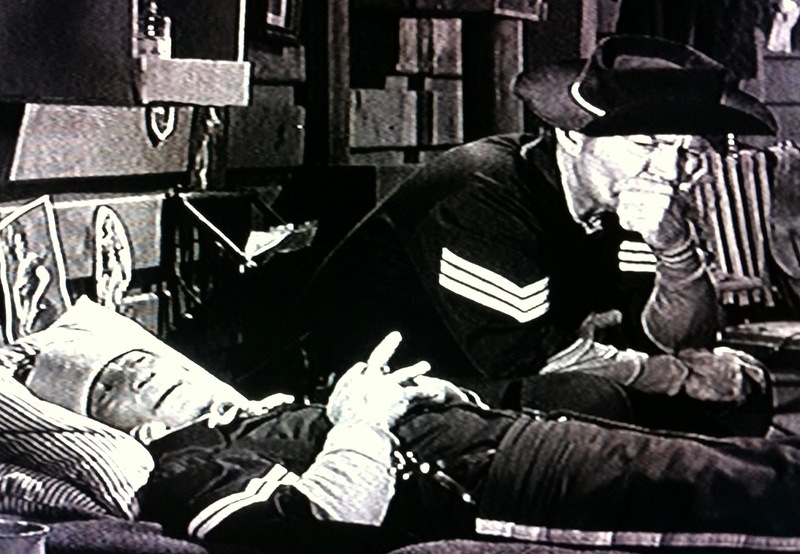 We witness one last rarity in an episode full of them, as Duffy and Dobbs competently force the captured warrior into the Fort Courage guard house. Sgt. O'Rourke pats himself on the back when he hears that Agarn is in town with his girl. 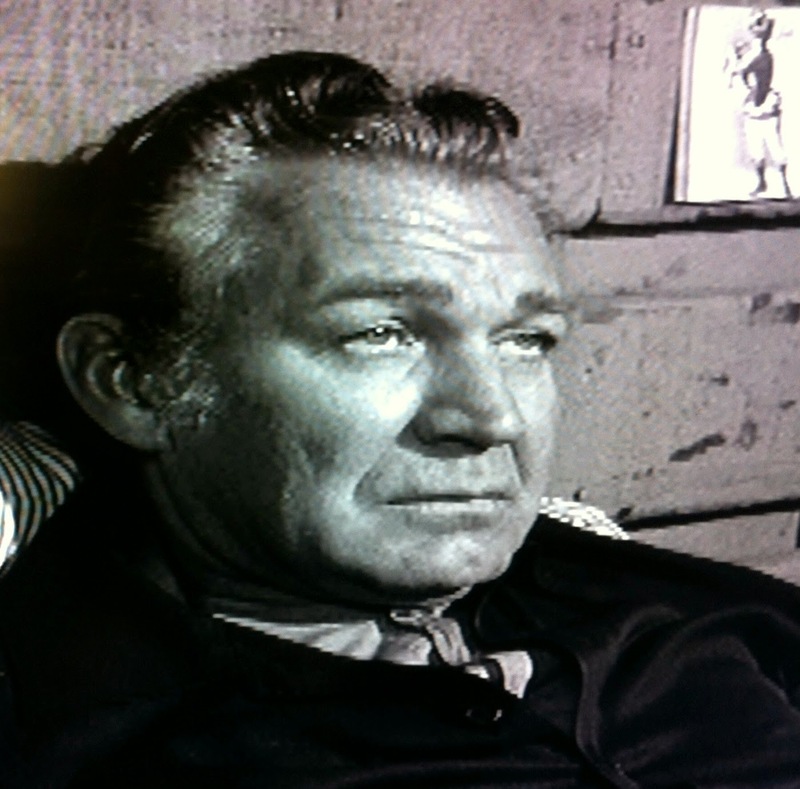 "When Morgan O'Rourke plays Cupid, those little darts really stick!" Not so fast, Sarge. 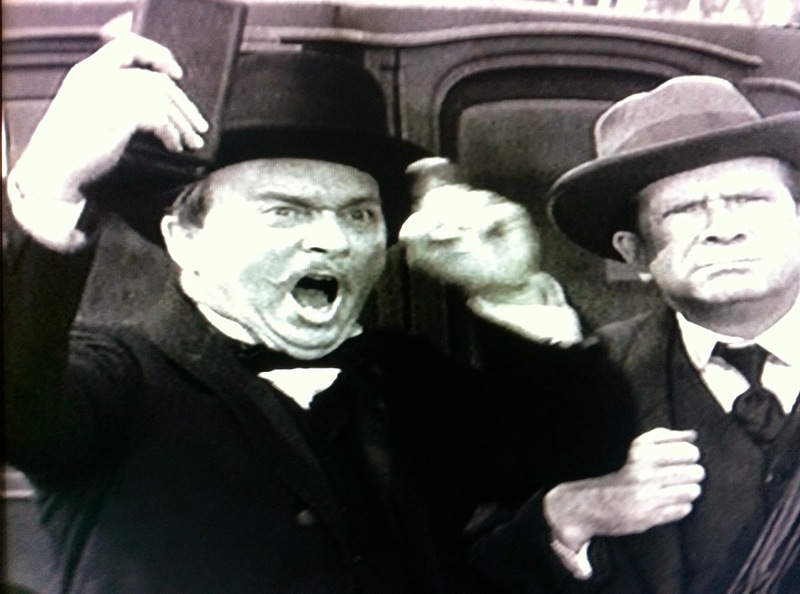 Randolph and Betty Lou are in town, but she's getting on the stagecoach while berating him for being untrustworthy. So long, Poopsie, you're back to being "Mr. Agarn", "Corporal" and "Sir". 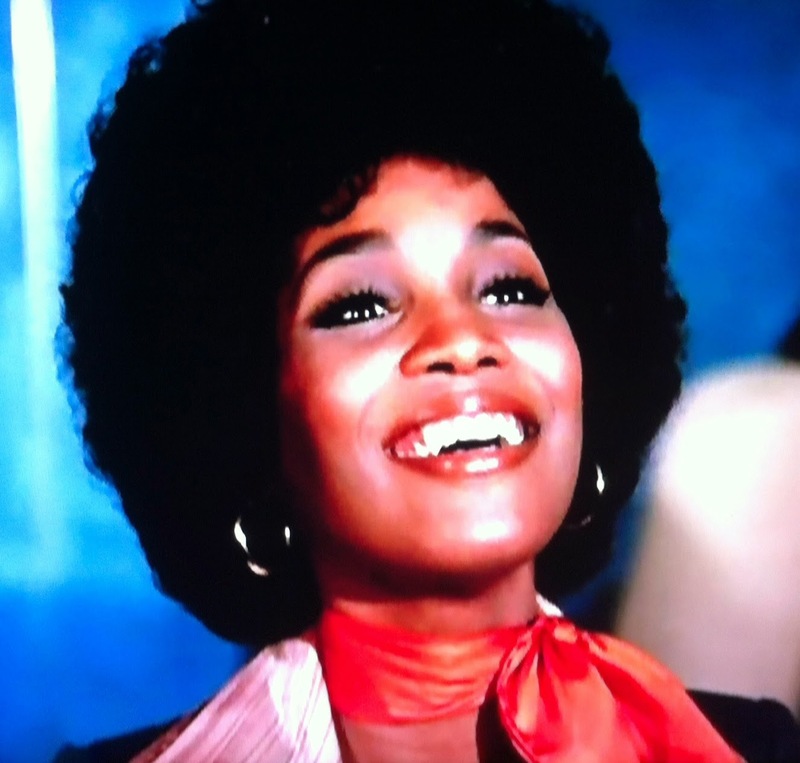 "If he'll have me, I'm going to marry Clarence!" Well, Agarn's reaction is predictable if you've seen at least half an episode. Hey, cheer up, "Mr. Agarn": The official version as given to the Secretary of War says that you, Randolph Agarn, played a pivotal role in a shrewd plan to capture a dangerous criminal who slew half a dozen troops. You allowed her to be a part of this operation (and couldn't reveal military secrets, right?). And anyone who saw Geronimo charging out of that club knows that you were risking life and limb to play your part in his apprehension. And after all that, Betty Lou's decided that you aren't her hero anymore??? Who needs her, Corporal! You're better off without her! Wrangler Jane sums it up for us: "Oh, Wilton, you've done it again!" 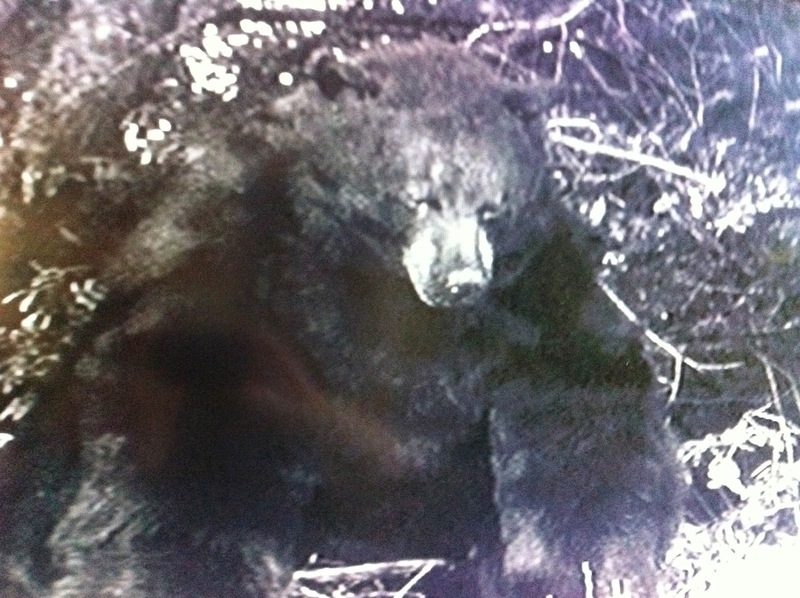 The Scourge of Bears? A goose egg for the Sarge this time, but he does unwittingly set up Agarn for a trifecta of other charges: Accepting a medal under false pretenses, fraud and impersonating a hero. 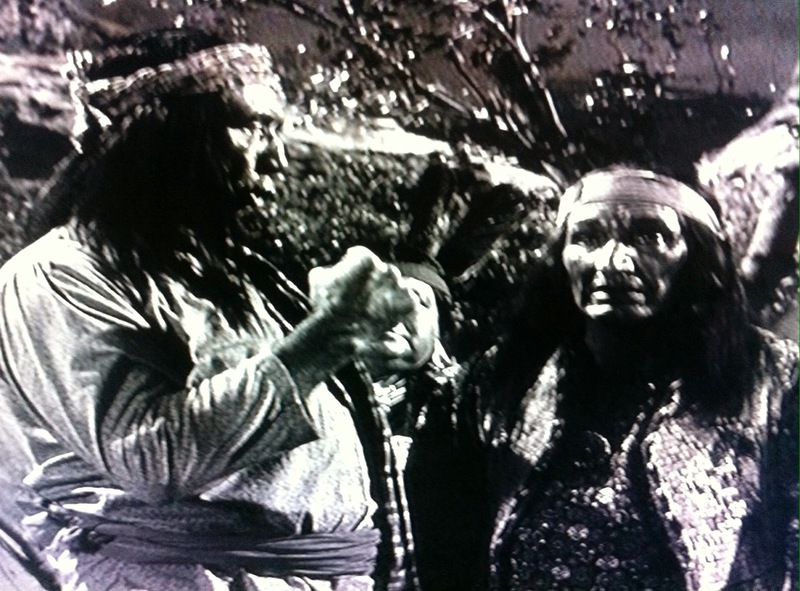 Janey refers to Geronimo as "one mean Injun", and for that and its overall depiction of the legendary Apache, I'm afraid this episode has to fall into the latter camp. Referenced reverently in other episodes, "in the flesh" Geronimo is a different matter here: hotheaded, dimwitted, monosyllabic. 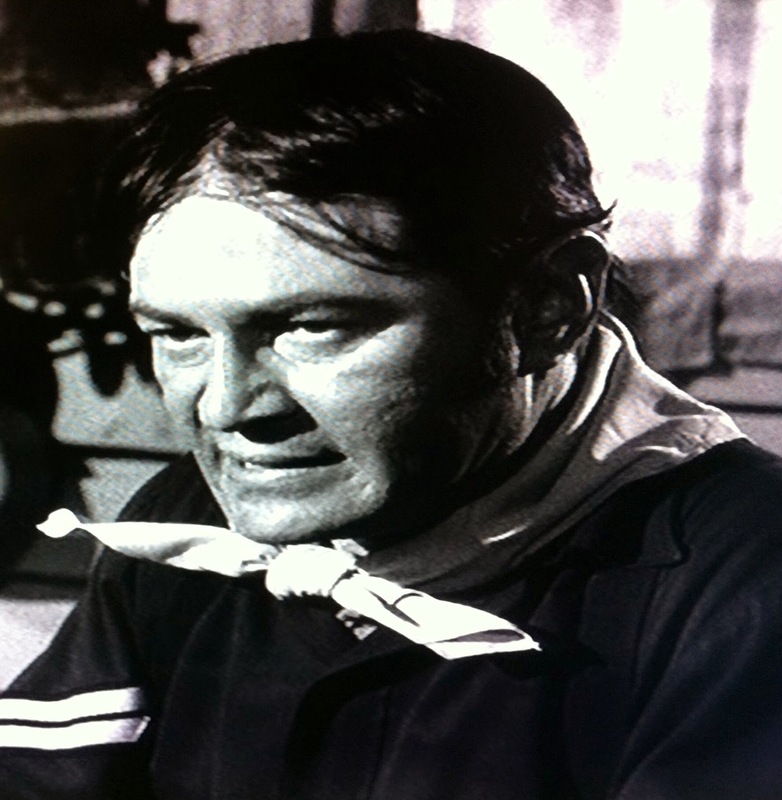 Granted, Geronimo's assistant and Chief Wild Eagle are both presented as far more intelligent Native American counterparts, Generals Grant and Custer (among others) also looked pretty foolish in their F TROOP appearances, and our cowardly Secretary of War makes Crazy Cat look like Crazy Horse. 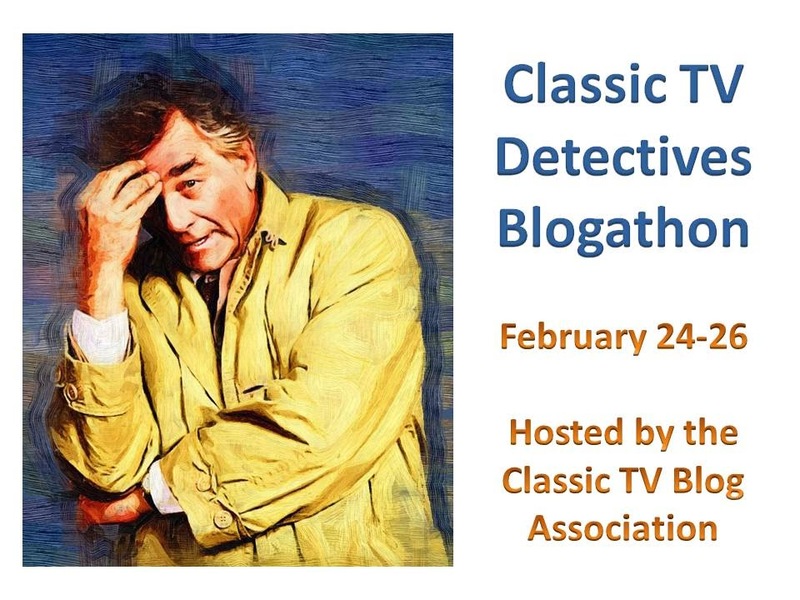 Still, all of the above were mere cameos. This unironically savage version of Geronimo is front and center for a lengthy period. Most damaging to his crafty reputation, Geronimo clearly lets his ego get the best of him: surely the thought would have crossed his mind that the outrageous headline might be a trick. 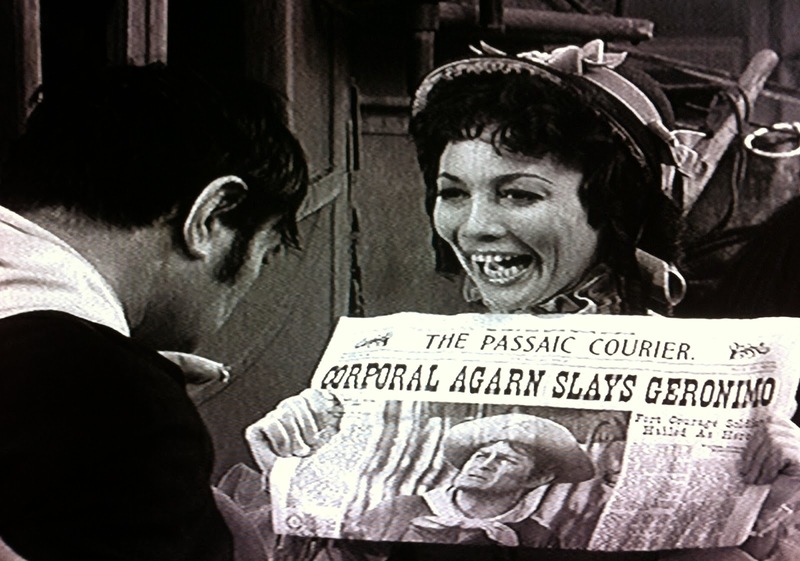 And why would he care about what a small time newspaper halfway across the country prints, risking capture at the lowliest Fort in the cavalry to kill one measly Corporal? Leadership? He can't even pursuade Jamie Farr to back him up! 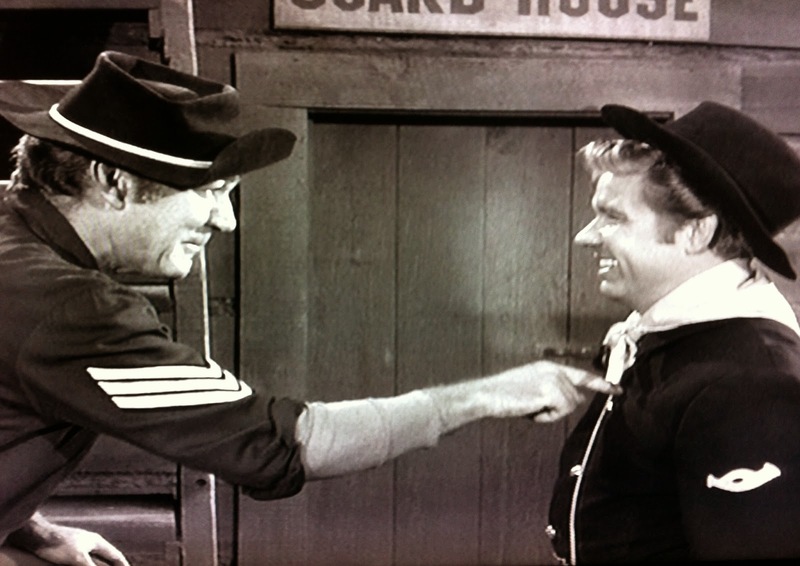 And, finally, let's talk military strategy: what kind of fool only brings knives to a certain gun fight at Fort Courage? 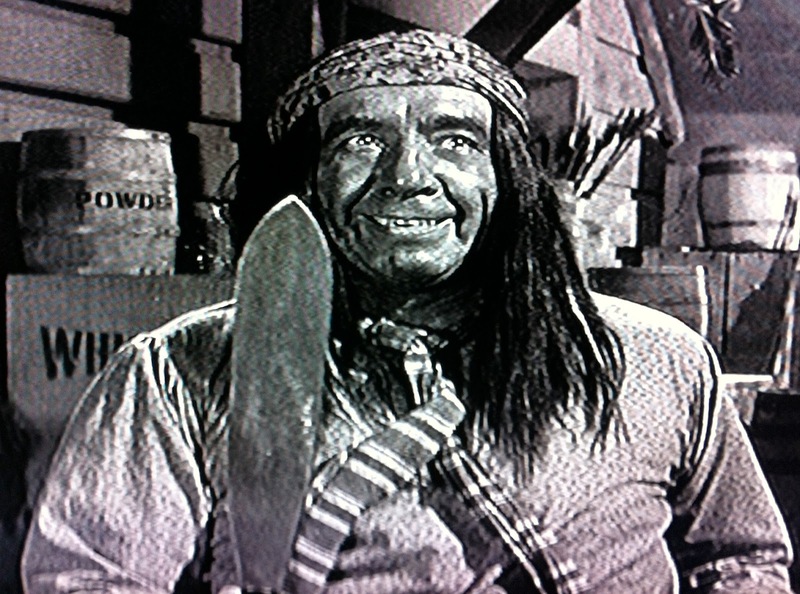 Especially since the story in the paper O'Rourke was reading (if accurate) confirms Geronimo has a gun--and as noted above, his knife throwing ain't all that stellar. 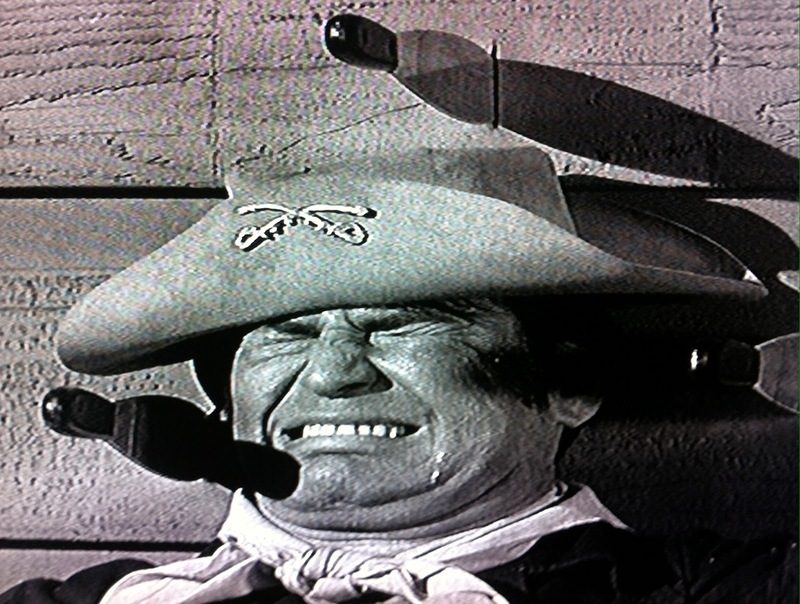 Summing it up, Geronimo's lone appearance on F TROOP was a decidedly unflattering one. The Voice of Reason: Jamie Farr! Nothing from Wild Eagle this time, and Crazy Cat doesn't even appear. 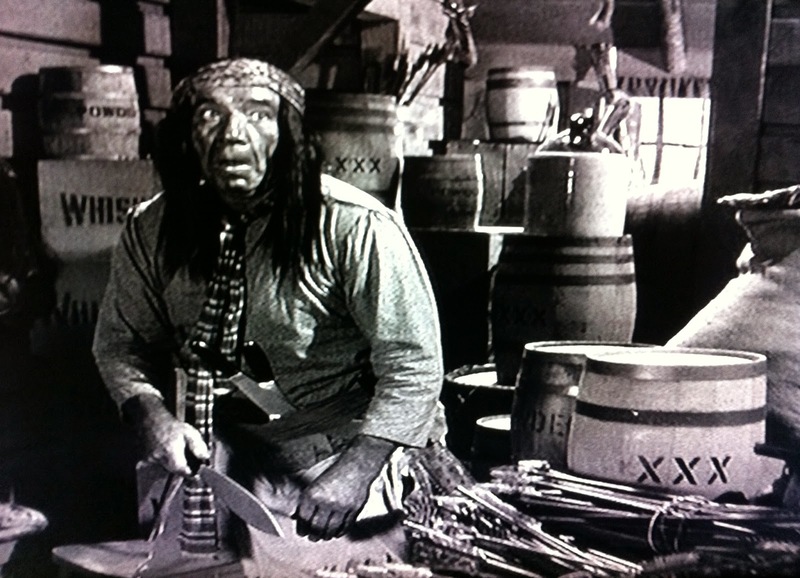 But while we're lacking Hekawi wisdom, Mr. Farr has a couple of nuggets from the Apache tribe. "Get better results with honey than get with vinegar." And, "He rides fastest who rides alone!". Come to think of it, both make more sense than the vast majority of Wild Eagle's aphorisms. 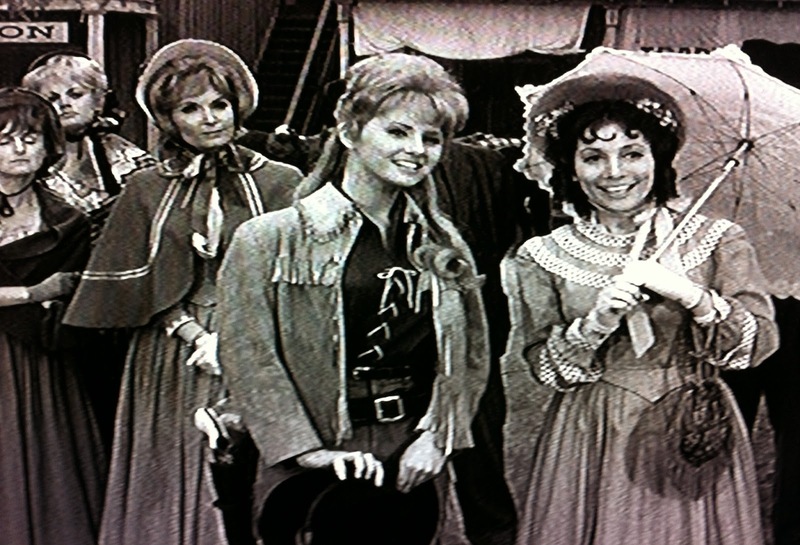 F TROOP currently airs on Me TV every Wednesday night at 10 & 10:30 ET, 9 & 9:30 Central.